Why a National Historical Park? What is the Rosenwald Park Campaign? 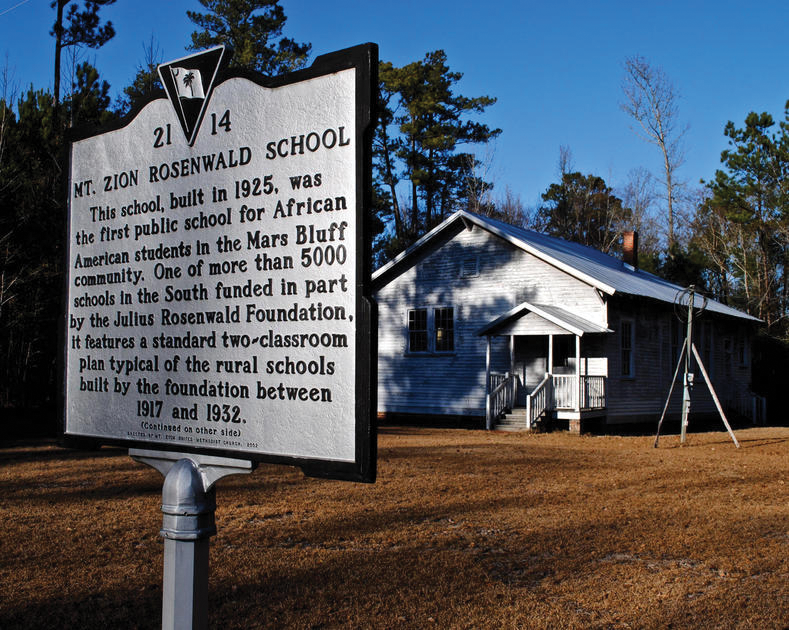 What is a Rosenwald School? After joining the Tuskegee Institute Board in 1912, Julius Rosenwald enthusiastically embraced the idea of partnering with African American communities in the South, many of them extremely rural, that were already raising money to build the schoolhouses that state school systems were not providing. Booker T. Washington proposed that part of the funds Rosenwald donated to Tuskegee in honor of his 50th birthday be used for a pilot project to build six schools in nearby Alabama. Rosenwald agreed to contribute a portion of the costs of each school as long as both communities and local governments participated. This program led to the construction of 5,357 schools and related buildings over a 20-year period in mainly rural areas of 15 Southern states. Even in the face of poverty and severe discrimination, families contributed land, materials, labor and – dollar for dollar—slightly more than the Rosenwald Fund itself in order to offer education to their children. These buildings – most of them one or two-room schoolhouses on country roads surrounded by fields and woods – were a source of great pride and affection in their communities. The schools educated one-third of African-American children of the South in the years before the end of legal segregation and gave them a chance for a better life. Following implementation of the Brown v. Board of Education ruling many fell into disrepair or passed into private hands.